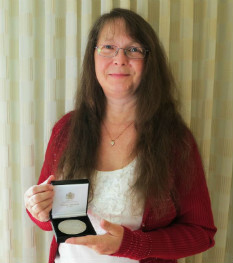 Barbara Reed joined the Society for Cryobiology in 1985 and was elected a Fellow in 2011. Dr. Reed is retired from the US Department of Agriculture, National Clonal Germplasm Repository and is currently a Courtesy Assistant Professor in the Horticulture Department at Oregon State University. She is a graduate of the University of Nebraska-Lincoln (BS) and Oklahoma State University (MS, PhD). She has authored or co-authored over 200 publications with 130+ in peer-reviewed journals. She has also edited or co-edited two books and written 13 book chapters. Dr. Reed is internationally recognized as an authority on clonal germplasm culture, cryopreservation, and storage techniques. She developed in vitro conservation methods and long-term storage techniques for plant genetic resources that are used worldwide. Dr. Reed has consulted with numerous university and industry scientists, advised nine M.S. and nine Ph.D. students, and provided short-term training to many visiting international scientists in her laboratory. Dr. Reed is a Fellow of both the Society for Cryobiology and the Society for In Vitro Biology. She is currently an Associate Editor for Cryobiology, In Vitro Cellular and Developmental Biology – Plant, and Plant Cell Tissue and Organ Culture. Dr. Reed was a member of the Board of Governors of the Society for Cryobiology for 8 years and she is Treasurer of the Oregon State University Chapter of Sigma Xi. The specific objective of her career work was to improve in vitro plant response by developing and applying fundamental concepts of stress physiology, dormancy, and chilling injury to the preservation of plant cultures. Immediate goals were to develop and apply novel approaches to improve plant growth in tissue culture using physiological and morphological studies; derive efficient medium-term and long-term storage strategies based on physiological principles; and to transfer the technology for use in world genetic-resources conservation. The research encompassed: 1. Characterizing plant response during in vitro establishment, multiplication, and rooting for 9 genera; solving in vitro culture problems that critically impact the capacity to apply in vitro technologies. 2. Determining requirements for slow-growth storage of in vitro cultures and integrating these characteristics into successful medium-term storage protocols. 3. Studying the effects of mineral nutrition on the growth of in vitro cultured plants. 4. Cryopreserving clonal germplasm; determining key processes involved in survival of plants after liquid-nitrogen exposure; identifying the effects of antioxidants and growth medium formulations on cryopreservation recovery. Dr. Reed was the first to develop successful apical-meristem cryopreservation-storage protocols for several genera of economically important clonal plant germplasm. She established the first base-cryopreserved collection of meristems for the U. S. National Plant Germplasm System and developed detailed protocols for 8 genera. Based partly on the success of her protocols a Clonal Storage Unit was established at the National Center for Genetic Resource Preservation (NCGRP) in Ft. Collins CO to process clonal accessions. Cynodon, Humulus, Lolium, Pyrus, Ribes, Rubus and Zoysia (meristems) and Corylus (embryonic axes) are now stored at Ft. Collins (1997-present) using some of the cryogenic techniques developed by Dr. Reed. 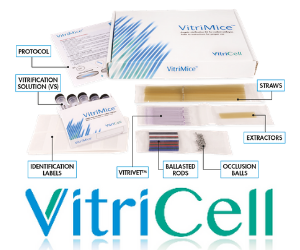 These protocols are now in use at NCGR, NCGRP, and laboratories in a dozen other countries. Dr. Reed developed cryopreservation techniques for Ribes meristems based on principles of cellular dehydration and cold acclimatization. She led research by graduate student J. Luo to determine that pretreatment with sugar or protein solutions prior to exposure to cryoprotectants improved recovery due to improved desiccation resistance and reduced toxicity. Dr. Reed, working with Dr. E.E. Benson of the University of Abertay, Dundee, Scotland, evaluated the freeze-thaw cycle of Ribes meristems with differential scanning calorimetry. Many Ribes genotypes are now stored in liquid nitrogen in both the US (NCGR, NCGRP) and Scotland. The pretreatment study made large improvements in plant recovery. The germplasm study added genotypes to storage and defined the points at which death occurred during the cryopreservation process. shipped from the NCGR each year. The USDA Natural Resources Conservation Service, the USDA-ARS National Plant Germplasm Quarantine Office, Beltsville, MD, and several other clonal repositories use this system for storing plant clones. This storage system is now used in several germplasm centers in the USA, Argentina, Belgium, China, Germany, Kazakhstan and New Zealand. Dr. Reed developed unique pretreatments and cold acclimation protocols that, when applied to source plants, measurably increased cold hardiness, more than doubled survival after cryopreservation, and increased the level of organized regrowth of cryopreserved apical meristems. These studies found that the length of effective cold-acclimation treatments varied with genotype and that a warm period during the acclimation thermoperiod cycle was needed to reach the deepest cold hardiness. These studies showed the effects of increased metabolism during a warm interlude in the cold acclimation period and changed the basic premise of cold acclimation studies. The studies show that genotypic variation to cold acclimation can be manipulated in the laboratory to improve cryopreservation success. The protocols resulted in greatly improved recovery of cryopreserved meristems following cryostorage and clarified the response of highly diverse plant germplasm to cold acclimation. In pears recovery increased by 10-40 fold following improved cold acclimation treatments. These treatments were highly effective for the temperate and subtropical plants tested. These pretreatments and cold acclimation procedures are now standard for cryopreservation of pear, blackberry, blueberry, raspberry, strawberry, hops, grasses, and many other genera. Dr. Reed successfully worked with technology transfer to laboratories throughout the world for germplasm storage. 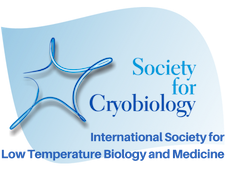 Literature on cryopreservation methods continues to increase; however, implementation of published techniques in individual laboratories is often not successful. These projects trained international scientists, identified the most critical problems in transferring techniques to labs in Germany, Poland, Scotland, and Kazakhstan, and assisted the labs in implementing protocols. The Kazakhstan laboratory is now fully functioning, storing germplasm and producing research publications. Dr. Reed’s research in clonal plant germplasm preservation (in vitro culture, cold storage, and cryopreservation of plant genetic resources) and her outreach efforts have greatly improved medium- and long-term storage techniques and advanced worldwide clonal genetic-resources storage. The cold storage and cryopreservation handbook developed by Dr. Reed and her methods book, Plant Cryopreservation: A Practical Guide, are widely used internationally. Publications are available through Researchgate, or by email request at [email protected].